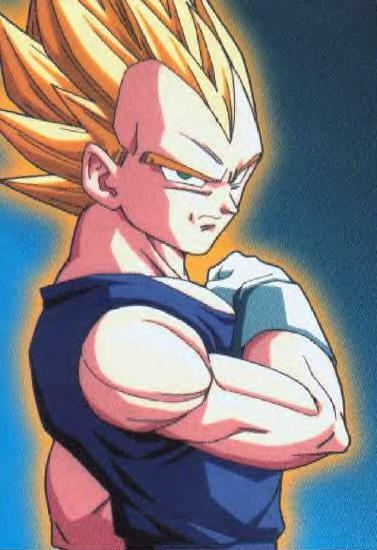 Prince Vegeta's dbz/gt rpg.Can you withstand the might of the saiya-jin prince? <--- THIS ARROW POINTS TO THE MENU WITH THE LINKS. JUST REST YOUR MOUSE ON THE RED TAB TO OPEN IT. ALSO PLEASE SCROLL DOWN FOR MORE OF THE SITE. HI!! Welcome to my rpg I am Prince_Vegeta please have a look around and check ALL the links before joining,If you would like to join see the "HOW TO JOIN" section for all the details.This is a chatroom rpg and is 100% free. please invite more people to join.If you have any questions e-mail me. This site has alot of db/z/gt things in it but it also has some stuff from other things that never happened in the show as well.This site was created on:05-19-01.IF YOU HAVE ANY QUESTIONS, ETC. ABOUT MY OTHER SITE PLEASE MAKE SURE YOU E-MAIL IT TO MY OTHER S/N(SCREEN NAME) THAT IS POSTED ON THAT SITE,I DO THIS SO I DON'T GET MAIL FOR THE TWO SITES MIXED UP.ALL E-MAIL FOR THIS SITE NEEDS TO COME TO MY S/N FOR THIS SITE WICH IS AT THE BOTTOM OF THE PAGE. OWNER AND CO-OWNER LIST.THESE PEOPLES E-MAILS ARE ON THE WEB SITE CONTACTS PAGE. OWNER:Prince_Vegeta(I OVER RULE EVERYONE) THERE ARE NO MORE CO-OWNERS BECAUSE I AM NO LONGER MAKING ANY UPDATES READ THE NEWS FOR DETAILS. I WOULD LIKE TO THANK ALL THE CO-OWNERS FOR ALL THEIR TIME. TEST YOUR REFLEXES:PRESS THE START BUTTON BELOW AND AS SOON AS THE BOX CHANGES COLORS PRESS THE STOP BUTTON. EVERYTHING ON THIS SITE THAT PERTAINS TO DB/Z/GT IS A COPYRIGHT OF THE APROPRIATE COMPANIES/PEOPLE.I DO NOT INTEND TO BREAK ANY COPYRIGHT LAWS WITH THIS SITE.AND EVERYTHING FROM ANY OTHER COPYRIGHTED SHOWS,BOOKS ETC.ARE COPYRIGHTED BY THE APROPRIATE BUSSINESS/PEOPLE.EVERYTHING ELSE IS MINE AND DO NOT USE ANY OF IT WITHOUT MY PERMISSION!!! !THIS INCLUDES MOVES,ITEMS,PLANET NAMES,ETC. (EVEN MOVES,ITEMS, ETC. THAT PLAYERS CREATED.AND I CAN USE THEM AS I SEE FIT.) ANYTHING YOU SEND IN TO HAVE ME USE ON MY SITE WILL BECOME MINE AND I WILL USE IT AS I SEE FIT AND YOU WILL NOT RECIEVE ANY COMPENSATION WHATSOEVER UNLESS I SAY OTHERWISE!!! JUST ASK ME(Prince_Vegeta. )IF YOU WANT TO USE SOMETHING, MY EMAIL IS CLICKABLE BELOW. I WILL NOT BE PAYING YOU OR ANYTHING LIKE THAT FOR ANY PICS YOU SEND ME SO DONT EXPECT ANY COMPENSATION WHATSOEVER AND IF I PUT THE PIC ON MY SITE IT WILL BECOME MINE LEGALLY AND I WILL HAVE THE RIGHT TO USE IT HOWEVER I CHOOSE TO!!!!!! IM NOT TRYING TO BE RUDE I JUST DON'T WANT TO GET SUED BUT IF YOU WOULD LIKE I CAN PUT YOUR E-MAIL ADDRESS UP ALONG WITH THE PIC SO PEOPLE KNOW IT WAS YOU WHO SENT IT IN.AND PLEASE TELL ME IF THE PIC IS ONE YOU DREW OR MADE YOURSELF. IF WOULD WOULD LIKE YOUR BANNER PUT ON MY SITE E-MAIL ME AND LET ME KNOW,I AM NOT PROMISING I WILL PUT IT UP! !BUT I WILL MOST LIKELY TRADE BANNERS MEANING I'LL PUT YOURS ON A SPOT ON MY SITE THAT IS AGREED UPON AND YOU PUT MINE ON YOUR SITE ON A SPOT THATS AGREED UPON.ALSO WHEN E-MAILING ME PLEASE TELL ME HOW LARGE THE BANNER IS(KB, MB, ETC. )AND PLEASE INCLUDE THE HTML FOR YOUR BANNER. MOST GIFS AND BANNERS FOR THIS SITE WERE CREATED USING GIF CONSTRUCTION SET PROFESSIONAL. THERE IS A LINK TO THE SITE WHERE YOU CAN GET THE PROGRAM BELOW. VEGETAS THEME Sorry your browser does not support frames.